Experience level. Advanced. Current is sometimes unpredictable. There are two main parts of Punta Sur. 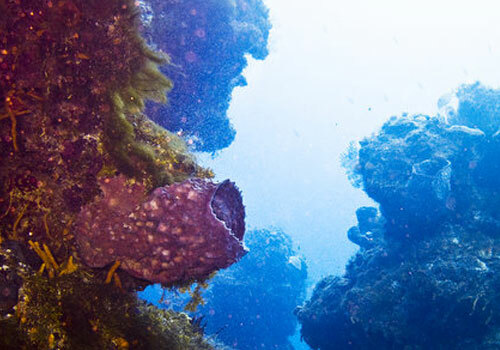 The Punta Sur reef to the south consists of nice swim through and a spectacular chamber called the Cathedral. The northern part of Punta Sur contains the infamous Devil's throat. Due to the depth of the dive and the distance travelled, you will usually do one or the other, but not both. 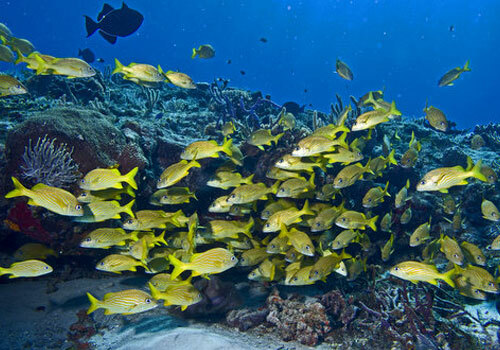 However, if you do the Cathedral section of the reef, you will usually this Cozumel Dive Trips by the Devil's throat section on the way to Colombia. The Cathedral section is spectacular. There are large swim throughs at about 110'. The Cathedral is further north from the start of the swim through. Currents can be strong when you are out over the wall. 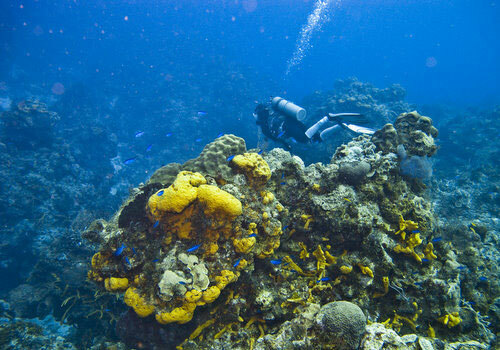 Due to the depth of the dive, Cozumel Punta Sur reef, the strong currents, and the long swim through, this Cozumel Scuba Diving should only be done by experienced divers. As for Devil's throat, it is a constricted swim through that starts at about 90' depth. There are a few ways to go. One way takes you to 115'. Most dive companies will have you come up as you exit the tunnel, and then do an ascending dive over the rest of Punta Sur into Colombia. There are other tunnels above and below the exit to Devil's throat. Some Cozumel dive masters may take you through the tunnels a few times exploring different passages. The scariest part of Devil's throat is where the tunnel narrows to about 5' wide and drops about 15' down before it opens up again. It can be almost pitch dark. Be sure to take a light. There has been a pair of juvenile reef sharks spotted here in Dec. of 2010. 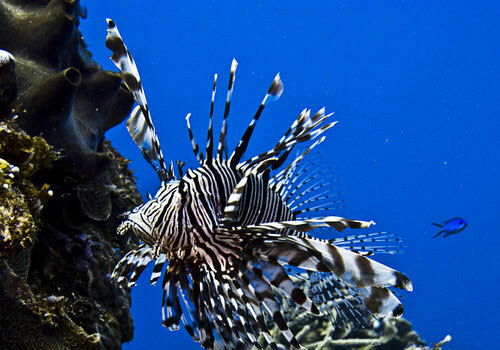 You will usually see some turtles here, but the fish and animals are not as numerous as other areas of Cozumel or Caribbean Dive Vacation.